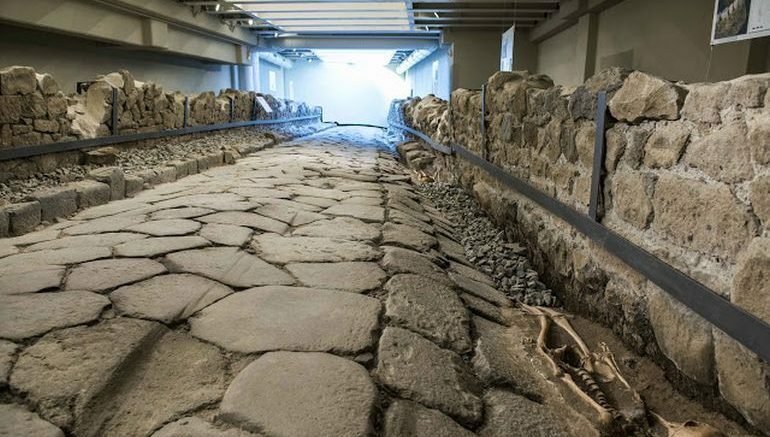 It is not often that we can mention McDonald’s and Roman road in the same sentence. But a fascinating $315,000 restoration project has combined the two worlds – modern and ancient, in an incredible scope that stands testament to the preservation of historical legacy. 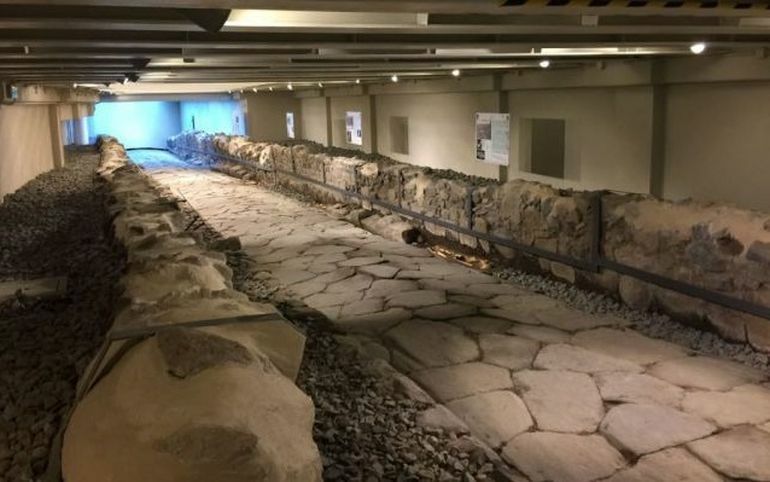 Funded by McDonald’s Italia, the establishment is thought to be the world’s first ‘restaurant-museum’, with the eatery structure blanketing the ancient Roman road underneath it. So as the patrons enjoy their sumptuous burgers they can also glimpse into their history via a glass floor that visually connects the two ‘worlds’. 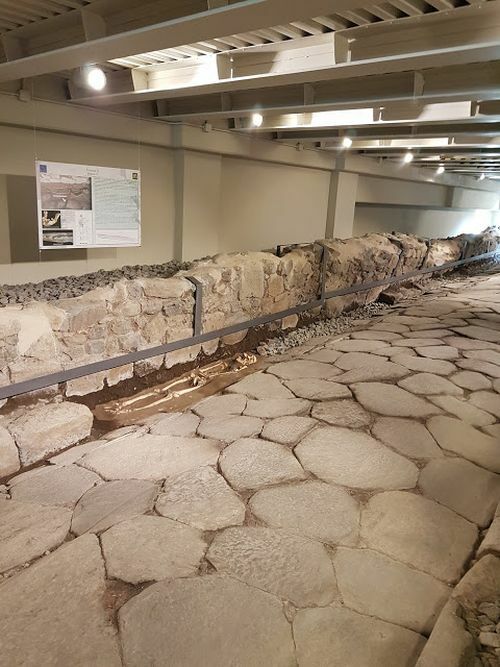 Located in Frattochie (south of Rome), this 150-ft long ancient Roman road in question dates back to circa 2nd-1st century BC, though the infrastructure fell into disuse after three centuries during the architectural peak of the Roman Empire. The pathway branches off the famed Appian Way (originally known as Regina Viarum), which is often considered as Europe’s first super-highway, and was a major communication link between the capital and its southern sectors. Now in terms of preservation, viewers can still make out the cracks and ruts caused by wagon wheels on the typically Roman paved road made of local volcanic rock. These marks are also accompanied by skeletons of three adult males. The remains were originally buried along the path when the road fell into disuse. And in case you are wondering how the aura of death gets along with your enjoyment of fast food, the actual skeletal parts have been shifted to laboratories for further analysis, and thus are replaced by casts on these tracks. Since we are talking about a rare merging of public and private sector interest through ancient legacy, the McDonald’s restaurant-museum will feature the history of the road. This will even be complemented by a children’s route to the Roman site for the younger folks to explore after they have had their Happy Meals. People will also have the option to freely access the Roman road by totally bypassing the fast food establishment. Interestingly enough, many commercial projects in Italy are often delayed ironically because of the country’s rich historical and cultural legacy. One apt example would pertain to Rome’s third Metro line, which was postponed after workers discovered a flurry of Roman artifacts, frescoes, mosaics and a massive barrack. These discoveries entailing a 19,000 sq ft site with 39 rooms, were so impressive that the city council might just turn them into a full fledged museum. Fortunately, in this case, the parties involved looked forth to a symbiotic arrangement encompassing both commercial and historical interests – a rarity considering McDonald’s recent struggles with many Italian communities, with one even involving Vatican cardinals and an eatery branch close to St. Peter’s Square.